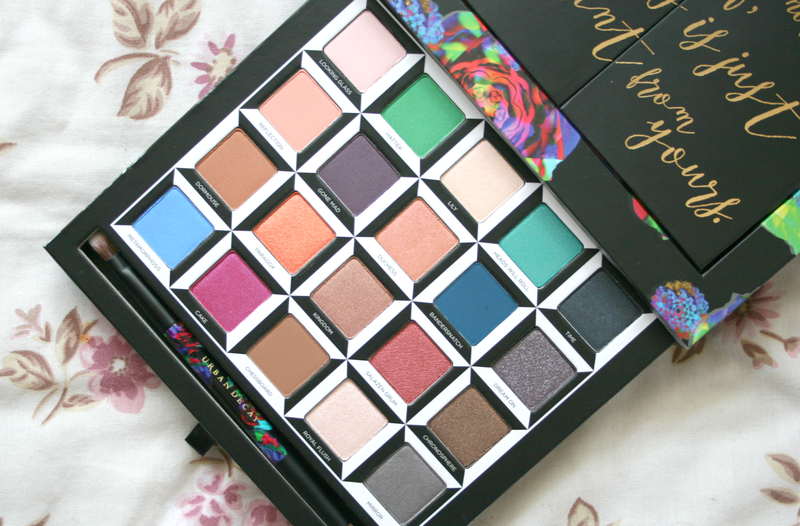 No matter what Urban Decay bring out I can never fault them on their packaging but this time they really went above and beyond and its just so pretty and colourful I love it. The top pulls back to reveal a mirror along with two little doors which open up to reveal the 3D butterfly inside. Although this is something you probably won't have opened much when doing your makeup unless you're displaying it I think it's just such a pretty detail to have. I also love how they incorporated three quotes onto the palette. One being on the doors before revealing the 3D butterfly which reads "I'm not strange, weird, off, nor crazy, my reality is just different from yours" which is one of my absolute favourite quotes ever! Another being on the mirror the ever so famous "We're all mad here" and finally on the drawer of the eyeshadows "I know who I was when I got up this morning, but I must have changed several times since then." 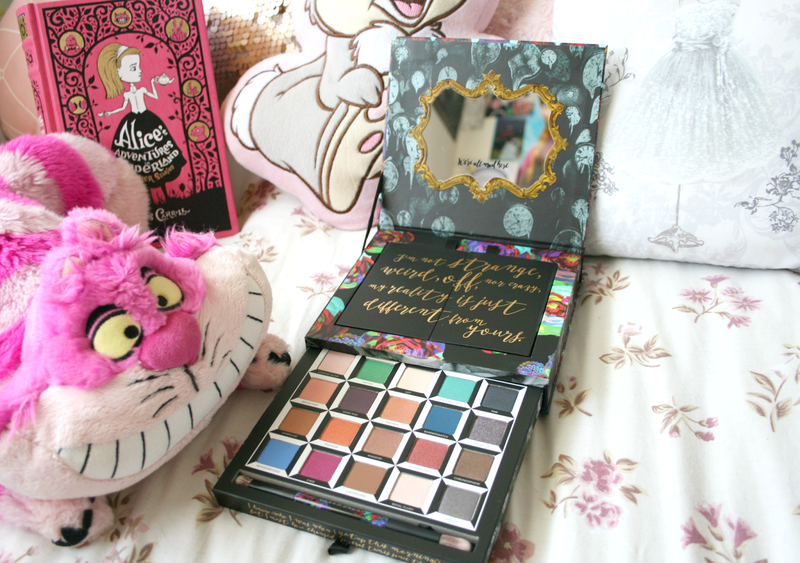 Onto the actual eyeshadows inside, as you could imagine theres a lot of colour, it is inspired by Alice in Wonderland after all. Consisting of Blues, Pinks, Burgundy's and everything inbetween it really is a dream for anyone who loves wearing colours. 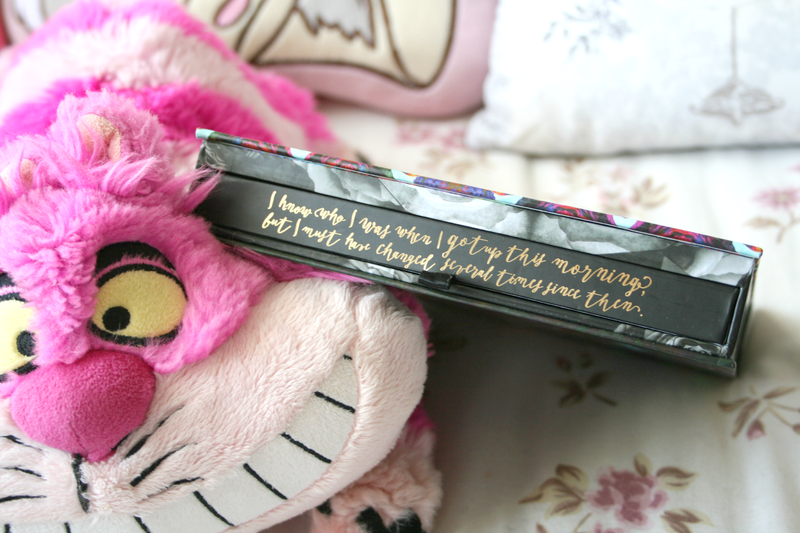 The shadows themselves have all been named after someone or something from Wonderland (or Underland, depending on how much of a fan you are ;) ) As always Urban Decay have included one of their dual side eye brushes in this palette with the same design as the outer cover printed onto it. Onto the actual colours and how they work, this is where I have a slight problem. From the ever so famous Naked palettes I'm used to Urban Decay producing buttery shadows that are pigmented and just beautiful. 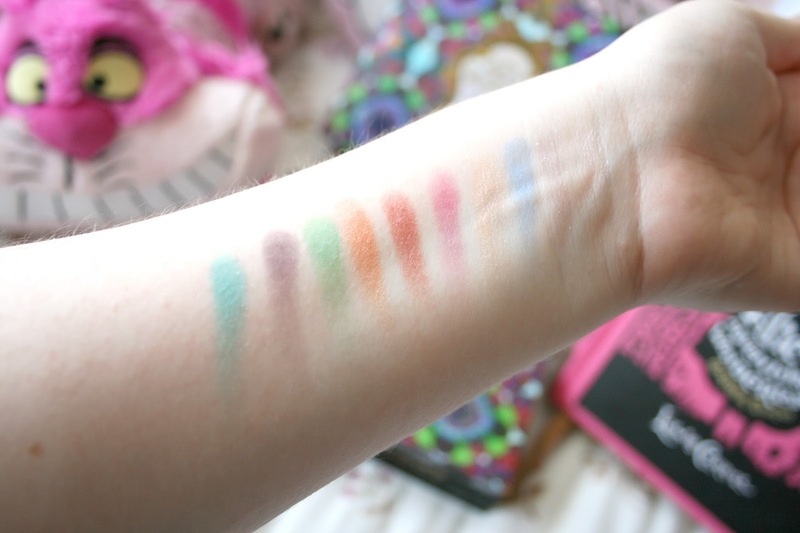 Well this palette has me torn, while the colours are gorgeous and the shadows are buttery I just don't find them as pigmented as they should be and I find them a little powdery. Please note that this is a first impressions post though and maybe with a few more uses I will totally change my mind about it. But right now I so wish I had of swatched the colours before running up to the counter like an excited kid in a candy shop to purchase this. Any reviews I have read though nobody has mentioned this so maybe I just need to get rid of the top layer of the colours for them to work to their full potential. I'm definitely still excited to create some looks with this though for sure! 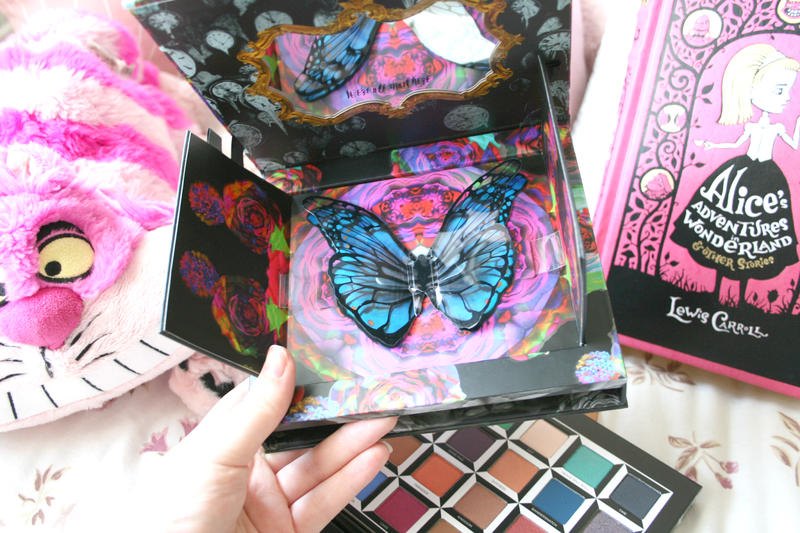 Did you cave and give into the Urban Decay x Alice Through The Looking Glass hype?